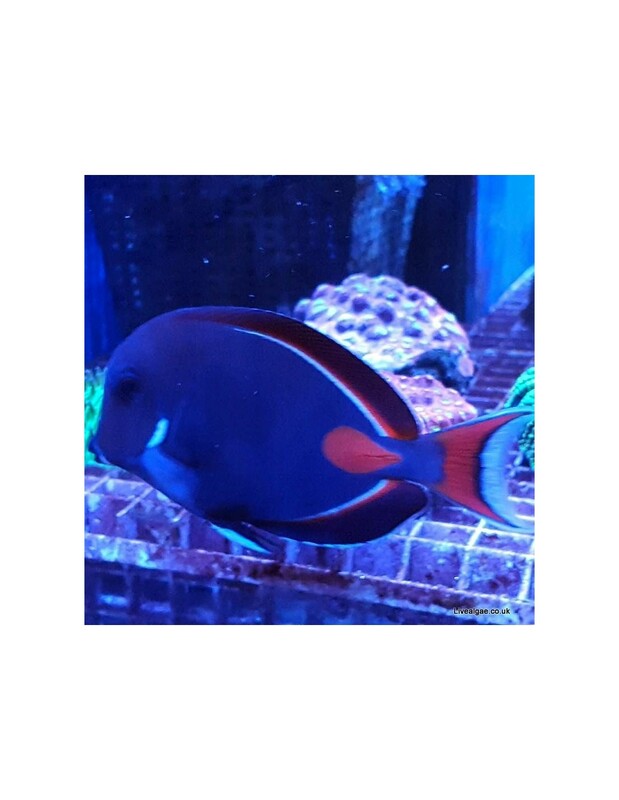 The Achilles Tang or RAchilles Surgeonfish is a very active swimmer and needs at least a 6ft long tank. It is dark brown to purple coloured, with a white marking behind his gills, white and orange around the dorsal and an orange teardrop near the caudal fin. For best care, it should be housed in an aquarium of at least 180 gallons with ample room to swim. 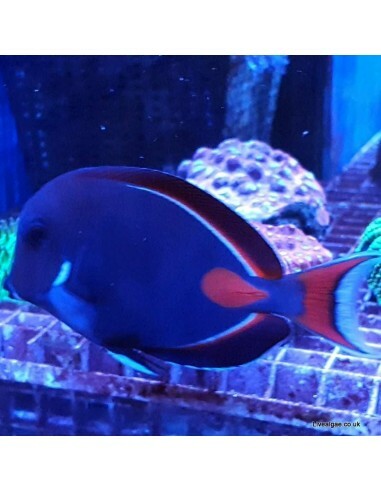 The Achilles Tang is a very territorial marine fish and can be very aggressive towards other Tang Fishes. Therefore it is better to keep just a single Tang Fish in the aquarium unless multiple Tang Fishes are introduced at the same time. in addition, some dried Nori Algae is a very welcome addition for him.